Yoga is a powerful practice that can positively impact the mind and body alike. If you are searching for a way to strategically use your body and mind to improve your overall health and wellness, look no further than the private sessions of therapeutic Yoga at MindBodySpirit Care. Yoga is an ancient artform that harmonizes the body with the mind through breathing exercises, meditation, and body poses. This combination has the ability to restore balance by strengthening the body, calming the mind, improving focus, and confirming self-confidence. Many people make the mistake of interpreting Yoga as a challenging physical activity that only involves twisting the body into strange and difficult poses, but the true goal of Yoga is to unite the body, mind, and spirit to enrich life and resolve illness. More than ever before, scientific research is confirming the multitude of health benefits that can be achieved by regularly practicing Yoga. First of all, the breathing and relaxation techniques incorporated into Yoga have been found to relieve chronic pain disorders like arthritis, lower back discomfort, headaches, and carpal tunnel syndrome. Yoga’s breathing and relaxation is also linked to the development of coping strategies that can resolve sleeping problems, drug abuse, concentration problems, stress, anxiety, depression, and much more. Yoga offers numerous physical benefits as well, like increased flexibility and muscle strength, improved energy levels and vitality, cardiovascular and circulatory health, and a balanced metabolism. Recent studies even indicate that Yoga can play a role in overcoming diabetes, symptoms of menopause, asthma, obesity, and heart disease. 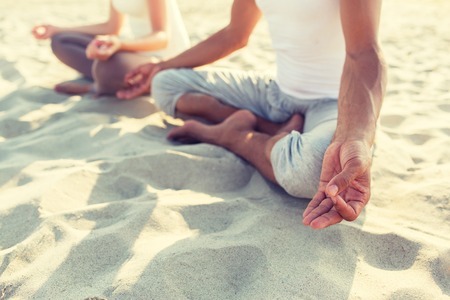 When you schedule a private yoga session at MindBodySpirit Care in Tampa, Florida, a skilled certified yoga instructor will teach you the proper form and alignment of the body and breath that is essential for the strength, flexibility, relaxation, and optimal health that Yoga can help you attain. You will enjoy an individualized and comfortable environment as you embrace the art of Yoga and learn the techniques you need to incorporate Yoga into your daily health and fitness routines at home. With two locations in Tampa, Florida, MindBodySpirit Care is always nearby to serve all of your holistic and integrative healthcare needs. Call (813) 935-2273 or (813) 964-6804 to book your first private Yoga session and begin reaping the rewards that this ancient artform has to offer.